Choosing the best PlayStation 4 games of 2018 wasn’t easy with so many great game releases. Here are our picks! Whether you are looking for the ultimate PlayStation gaming experience or a birthday gift for the PlayStation gamer in your life, Walmart Canada has you covered. PlayStation 4 has delivered incredible games in 2018 and I’m here to bring you the very best the console has to offer. Buckle up, greatness awaits! We’ve included ESRB ratings for each, so you can make sure you’re choosing wisely—see the chart at the bottom for what they mean. The reimagining of a gaming legend, a bold new beginning. One of my personal favourites from 2018, God of War sees the return of Kratos after a long hiatus. The Greek demigod, fuelled by vengeance, has mellowed after becoming a father. Kratos and his son Atreus journey through a dangerous world based in Norse mythology hoping to fulfill a mortal promise. The reimagining of the God of War franchise features breathtaking vistas, stunning graphics and incredible gameplay. Join Kratos on his most incredible adventure yet, it’s not to be missed! Get the most out of your journey with the God of War Digital Deluxe Edition featuring a dynamic theme, digital comic, exclusive character skins and more. Fine-tuned gameplay mechanics make you feel like Spider-Man swinging through Manhattan, web-slinging has never been better in a videogame! Immersive story is just as good as the Marvel Cinematic Universe, have the popcorn ready for this adventure! The classic comic book hero comes to life like never before. Live out your superhero dreams and become Spider-Man in this web-slinging adventure! The critically acclaimed open-world game allows you to swing around New York as Spider-Man, and experience life as Peter Parker, balancing great power and responsibility. Hailed as one of the greatest superhero games ever made, Spidey’s adventures featuring web-shooting aerial combat and Spider-Sense reflexes are not to be missed. You’ll need all of those superhuman abilities as you face off against some of the most iconic super-villains in the Marvel universe like Electro, Rhino, and Vulture. If you are looking for the ultimate Spider-Man experience be sure to check out the Spider-Man Digital Deluxe Edition, which includes additional missions, characters and suits for the web-slinger. Dust off those boots and saddle up! Rockstar’s new Western-themed adventure, the prequel to 2010’s blockbuster Red Dead Redemption, follows the story of fugitive Arthur Morgan. Take a trip back to 1899 as part of the Van der Linde gang, a group of outlaws fighting to survive as the long arm of the law closes in. Red Dead Redemption 2 takes place in the western region of the American countryside and features a rich, living breathing world filled with unforgettable characters, detailed environments and breathtaking scenery. The stunning realism and storytelling are sure to keep you coming back to America’s rugged heartland in this gritty tale of survival, loyalty and betrayal. Red Dead Redemption 2 is available in regular and Special Edition versions with the latter including extra missions and other gameplay bonuses. Brutal, free-flowing combat that uses the environment to up the ante against your enemies! Explore a larger than life crime world. A war is coming and dragons will clash. Will you rise to the challenge? Yakuza Kiwami 2 is a gripping adventure into the Japanese crime world where you must work to stop two rival clans from going to war. As Kazuma Kiryu, it’s up to you to keep the peace as others conspire to bring gang warfare to the streets of Tokyo and Osaka. A gripping story, challenging combat and mini-games that will keep you entertained for hours await. If you are looking for an epic RPG experience this year, then set your eyes on Dragon Quest XI. The venerable RPG series has returned, delivering fun, strategic, turn-based combat that will keep you playing for 100+ hours. This time there are no random enemy encounters—breaking away from the traditional role-playing formula you can see all monsters right in the open world. As a hunted hero, you are joined by a colourful cast of characters looking to help unravel the mystery of your past. A multiplayer combat experience that will test your skills. Blacks Ops is back in an adrenaline-fueled, multiplayer combat experience featuring combat specialists with unique, strategic playstyles. Zombies mode is also bigger than ever with a new cast of characters and three full experiences to battle your way through out of the box. The headliner mode and my personal favourite is the massive new battle royale experience, Blackout. It features Call of Duty’s biggest map ever with iconic settings inspired by Nuketown, Asylum, and Stronghold. More additions than you can shake a stick at with new modes, hockey legends and outdoor rinks, what are you waiting for? This is the most comprehensive NHL yet! The puck drops with one of the deepest hockey games to date. Lace up those skates, NHL 19 is here with an all-star lineup of new features that delivers one of the best hockey game experiences yet. This year’s edition features an overhauled skating system, adding a new level of speed and agility to player movement. Additionally, new outdoor rinks allow you to journey from the pond to the pros in many different modes. One of the new experiences that have me hooked is NHL Ones, which pits you against two other players in a 1v1v1 free-for-all pond hockey gauntlet. You can also step into the World of Chel, a new unified experience that rewards your progress with customized gear and the ability to apply unique player specialization traits. Light the lamp this season with one of the most comprehensive NHL experiences yet! NHL 19 comes in three versions: the base game, plus premium options with the Legends and Ultimate editions to help bolster your Hockey Ultimate Team (HUT). Build your momentum on the hardcourt and dominate with the new Takeover System, giving your players a game-changing attribute boost. Player clipping has been drastically improved giving the game a more realistic and authentic feel. 2K19 features The Neighborhood a massive open-world experience that celebrates basketball culture while helping you hone your skills and build your own legacy. Hit the virtual hardcourt this season with NBA 2K19 from 2K Sports. This year, the new “Neighborhood” open-world experience lets you celebrate basketball, its talent, and its culture. 2K has also introduced some important gameplay improvements with passing, on ball defence and player clipping. The NBA 2K19 20th Anniversary Edition is also available, giving you access to digital bonuses like Virtual Currency, MyTEAM points, in-game apparel and more. Use your surroundings to pull off intricate assassinations, hide among crowds, wear disguises, and use sabotage to neutralize your target. Become the world’s most notorious assassin. Agent 47 makes his return to the stealth sandbox using his surroundings and disguises to eliminate targets. Both dapper and deadly, 47 visits six brand new locations to plan out the perfect assassination. Hugely detailed and complex environments give you the tools to use stealth, sabotage, and just about anything at your disposal to eliminate your target. Hitman 2 includes a brand new campaign and high-stakes Elusive Targets missions where you’re only given one opportunity to take down your target. Good luck, agent! The Hitman 2: Gold Edition is available with added content including new locations, maps, missions, an expansion pass, and more. Forge your legacy as an assassin in ancient Greece. The storied franchise has returned, this time transporting you to ancient Greece. In Odyssey, you get to choose between two characters to play as: Kassandra or Alexios. Each has unique story attributes, allowing you to forge your own path in this rich and constantly evolving world. The game’s engaging story offers a wealth of diverse experiences, giving you something new to explore at every turn. Whether you are sailing in the Aegean Sea or spearheading a massive battle, Assassin’s Creed Odyssey is an epic that should not be missed. Assassin’s Creed Odyssey is available in Standard, Deluxe, Gold and Ultimate versions. Get ready to throw down with ultra-powerful fighters in this 2D brawler featuring characters from the Dragon Ball universe. 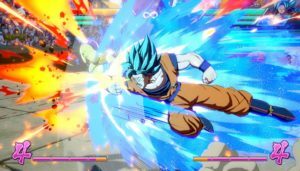 DBFZ features spectacular fights harnessing anime-inspired graphics that give the game a style and attitude all its own. Dragon Ball FighterZ is very accessible to new players, yet at the same time features extreme depth for veterans seeking a real challenge. Build your own fighter in the Libra of Souls as you face-off against enemies, level up your character and customize your weapons. 20 character roster includes legendary characters such as Ivy, Mitsurugi, and Sophitia, even the Witcher himself Geralt of Rivia makes a cameo! A classic 3D fighter returns. The 3D fighting scene has a reigning champ returning to the ring with Soulcalibur VI. After a 6-year hiatus, the series returns with its classic weapon-based combat, along with new mechanics and fighting styles. Go head-to-head with other warriors as you duke it out in search of the legendary Soul Swords. Walmart Canada offers a wide variety of PlayStation games and PlayStation accessories, explore our selection to get game ready!